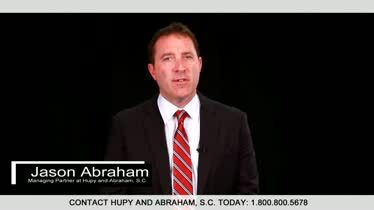 Illinois Negligent Security Attorneys Illinois | Hupy and Abraham, S.C. Injured Due to Negligent Security? Hupy and Abraham Can Help You. If you, or a loved one, have been injured due to the negligence of a property owner, hire the firm with experience and results. The person who attacked you has no insurance and has no assets. Even if you were to win a personal injury lawsuit against your attacker, your attacker can’t pay your damages. You would be left with the bill. But, in some cases, there may be another way. Think back to the time of your attack. If you were attacked on someone else’s property because the property owner failed to provide you with adequate security, then you may be able to recover damages. At Hupy and Abraham, our experienced attorneys believe that holding property owners responsible for negligent security is important. You shouldn’t have to pay for the property owner’s mistakes. We regularly represent victims of negligent security attacks and we are committed to helping everyone understand their rights. Accordingly, we encourage you to read our FREE book, Negligent Security: What You Need to Know About It, to browse this website, and to contact us directly for a free consultation about your rights. Inadequate staffing on the property. Staff, including but not limited to security guards, can help discourage attacks on the property and can act swiftly if an attack occurs. Inadequately trained staff on the property. Staff must be reasonably trained to know how to respond to an emergency and to know how to do their jobs. Inadequate lighting on the property. Property owners should ensure that there is adequate lighting to prevent would-be attackers from lurking in the shadows. Inadequate fencing, locks, or other barriers on the property. Fences, building locks and other barriers can help keep would-be attackers off of the property. What is deemed “adequate” or “inadequate” depends on the type of property where the attack occurred. Parking lots. Walking to or from your car can be dangerous. It may be dark and there may not be many people around. Parking lot owners have a duty to provide reasonable security—including adequate lighting and other measures—to prevent attacks. Bars and nightclubs. Alcohol consumption can make attacks at bars and nightclubs more likely. The owners of these establishments have a duty to provide reasonable security, which often includes properly trained bouncers, to prevent injuries. Apartment buildings. Apartment building owners have a duty to provide reasonable security in the common areas of their properties, including hallways, stairwells, lobbies, exercise rooms, and outside grounds. Colleges. Illinois colleges and universities need to provide reasonable security for students, staff and visitors. This may include limited access to buildings, adequate lighting, and a campus security force, for example. Schools. Each Illinois school should have reasonable security procedures in place and conduct safety drills to help protect students and staff in case of emergency. Stores. Customers have a right to be protected by reasonable security while shopping. If the store owner fails to provide such security and an attack occurs, then the injured party may have a negligent security claim. Hotels. Many strangers come and go from hotels. Thus, it is important to provide reasonable security measures to avoid a tragic attack. Banks. The lure of money may make armed robberies and other attacks likely at banks. A negligent security incident in any of these locations could result in a serious injury. Brain and head injuries. A traumatic brain injury, skull fracture, or other injury could result from a negligent security incident. The results may be painful and in some cases permanent. Spinal cord injuries. The specific consequences of your spinal cord injury will depend on where on the spinal cord your injury occurred. The result could be lifelong paralysis. Broken bones. Any bone may be broken in an attack from a stranger, including fractured bones in the neck, back, arm, leg, or hip. Sexual assault injuries. A sexual assault can result in traumatizing physical and emotional injuries. Gunshot wounds. The severity of a gunshot wound depends on where on your body you were shot. Post-Traumatic Stress Disorder (PTSD). PTSD may occur if you were physically assaulted, attacked, or otherwise harmed. Death. Many of the injuries mentioned above can result in death. You should talk to your doctor or seek immediate medical attention if you exhibit symptoms of any of these injuries or any other physical injury. Why you should pursue a civil case or insurance settlement if criminal charges are pending against your attacker. If you want to recover financial damages for the injuries that you’ve sustained, then you will need to pursue a civil personal injury case. The attacker may lack the funds to pay your damages. However, if the property owner was negligent and that negligence made your attack possible, then you may be able to recover damages from the property owner in a negligent security case. How property insurance applies and how to deal with insurance adjusters. The property owner’s property insurance may apply to your case. If it does, then you should watch what you say to insurance adjusters who will be working to minimize your recovery. How to report the attack to the police. You should call the police as soon as possible after your attack. How to collect evidence. It is important to collect evidence at the scene of the attack and after. This may include pictures of the property and contact information for eyewitnesses, for example. What you should not do after an attack. Certain mistakes can make it difficult or impossible for you to recover damages. Accordingly, you want to avoid mistakes to protect your recovery. How long you have to file a lawsuit—and what happens if you miss the deadline. Unless you quality for an exception to the law, you have two years to file a negligent security personal injury lawsuit in Illinois. If you fail to file within the two years, then the defendant may raise a statute of limitations defense when you do file and the court may dismiss your case without awarding you damages. If you have standing to file a lawsuit. If you are the parent of a minor child, if you are someone else’s legal guardian, or if it was you who was hurt, then you may have standing to bring a negligent security case in an Illinois court. What expert witnesses may be important to your claim. Expert witnesses including doctors, security experts, and others could be important to your case. How settlements work. Settlements require gathering evidence, knowing the fair value of your case, and skilled negotiation. How to start a civil personal injury lawsuit. Your case will officially begin when you file a complaint in an Illinois state court that meets all of the court requirements. And it is important to know whether you need an attorney. Medical costs. All of your health care costs should be included in your recovery. Lost income. Any income or other benefits that you could not earn due to your injury should be included in your recovery. Pain and suffering. Your physical pain and emotional suffering may be hard to value, but should be included in your recovery. Other expenses. Any out-of-pocket costs that you incur because of your injury should be compensated. An attorney can help you value these damages and fight for your fair recovery. Call us today at 1-800-800-5678 or contact us via this website to schedule your own free, no-obligation case consultation. It can be difficult to apply all of this information to the facts of your case without the help of an experienced attorney. Our Wisconsin car accident lawyers have extensive experience representing people who have been hurt in car crashes in settlement negotiations and at trial, and we have a successful track record. If you would like to schedule a free consultation at one of our conveniently located Wisconsin offices in Milwaukee, Appleton, Green Bay, Madison, or Wausau, then please call us today at 1-800-800-5678 or start a live chat with us now. 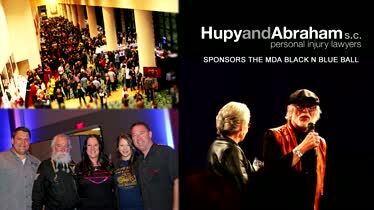 Hupy and Abraham Sponsors the 2016 MDA Black-N-Blue Ball Hupy and Abraham is a proud sponsor of the MDA Black and Blue Ball. Hupy and Abraham, S.C. 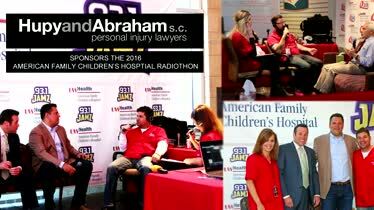 Supports Children's Hospital Hupy and Abraham partners Chad Kreblin and Brandon Derry took part in the 2016 American Family Children's Hospital Radiothon. 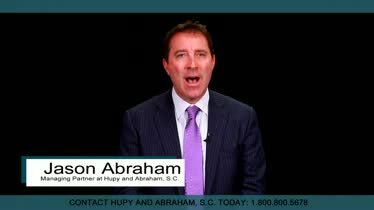 Entered the Hupy and Abraham Fan of the Year Contest Have You Entered the Hupy and Abraham, S.C. 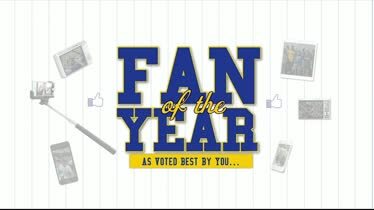 Fan of the Year Contest?